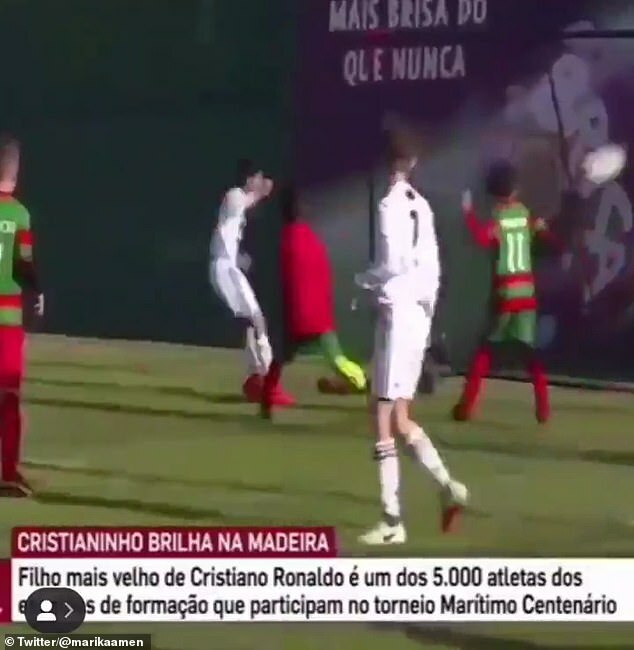 Cristiano Ronaldo’s son scores SEVEN goals in one half for Juventus youth team during tournament in Madeira… and he even has a celebration similar to the one his dad made famous! 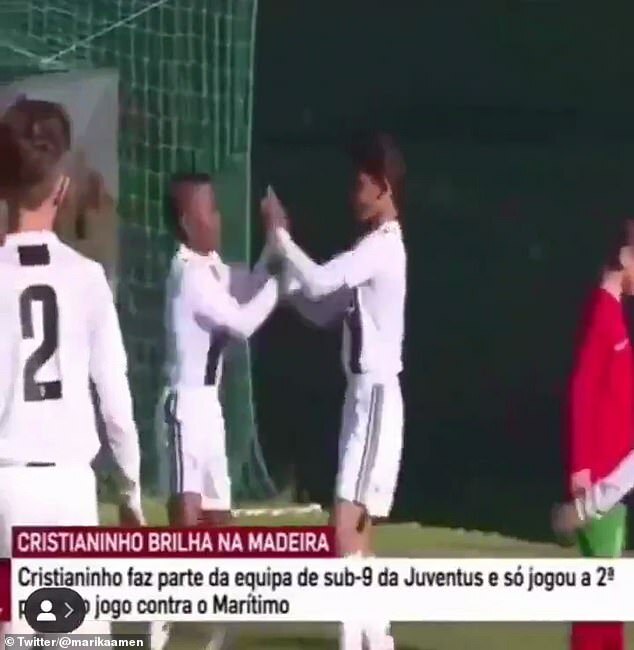 Cristiano Ronaldo‘s son scored seven goals before half-time for a Juventus youth team. The five-time Ballon d’Or winner insisted in August that he will support his son, no matter what he wants to do. ‘[Cristiano Jr] is very competitive, he’s like me when I was young,’ the Juventus star said in an interview with DAZN via SportingNews. ‘He doesn’t like to lose and he will be like me, I’m sure, 100 per cent.